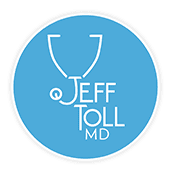 While physician house calls may sound like a medical service that went out of fashion with the beehive hairstyle, doctors like Jeff Toll, MD, put the needs of their patients first and visit their patients at home. If you live in Los Angeles and are unable to leave your home because of illness or disability, or if you prefer a more private service, call Dr. Toll or schedule an appointment online today to receive expert medical care in the comfort of your own home. What is a physician house call? Dr. Toll is able to make a house call for sick visits, general exams, and other treatments, such as IV drips. Members of his concierge service are able to have 4 free house calls per year. Unlike other physicians who have up to 3,000 patients, Dr. Toll provides an exclusive concierge service that allows him to spend more time with his patients — whether the appointment is in his office or your home. A physician house call is primary care at its most personalized and patient-focused. What medical services can I have during a house call? During your house call, Dr. Toll can offer a comprehensive range of medical assessments, screenings, and treatments. Dr. Toll provides wellness exams which include general health monitoring, including your blood pressure, heart rate, and lung function. Most house calls are for urgent care and other sick visits such as Flu, sinus infection, diarrhea, urinary infections, STD testing, rashes, vertigo, or any other reason why you may want to stay in bed. He collects blood and urine samples to test for signs of conditions, including diabetes, high cholesterol, and hormonal imbalances. He can also perform a variety of health checks such as proactive cancer screening, genetic screenings, and allergy testing. In addition to these general wellness checks and diagnostic services, Dr. Toll also provides prescriptions and medical treatments to address your health concerns and improve your wellness. He offers advice on small and incremental changes you can make to lower your blood pressure, lose weight, or manage your glucose or cholesterol levels — not only helping manage your condition but also enhancing your overall wellness. Who should have physician house calls? Dr. Toll provides compassionate medical care and attention to any of his patients who want or need a house call. While house calls are beneficial to those with disabilities or illnesses that make traveling to a doctor’s office challenging and stressful, Dr. Toll also provides house calls to accommodate busy professionals who don’t have the time to come into the office. What should I do if I want a house call? If you have a disability, chronic illness, or injury that makes leaving your home challenging or stressful, or if you want discreet medical care, call or schedule an appointment online today for Dr. Toll to make a house call. If you believe you also need IV fluids, be sure to let us know as well.